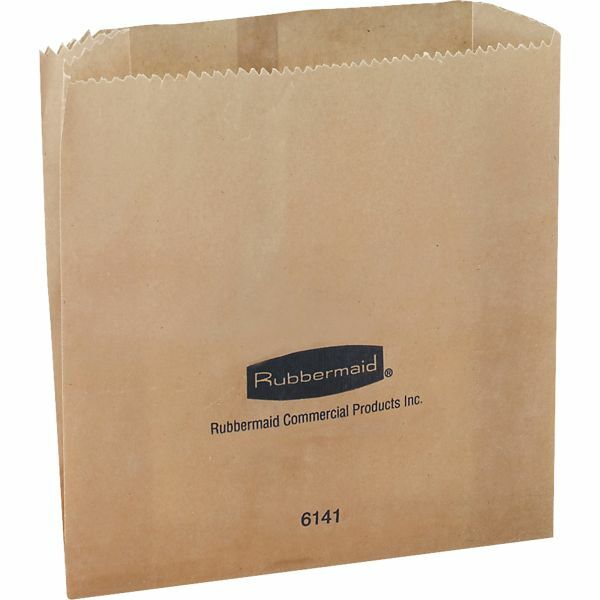 Rubbermaid Commercial Waxed Receptacle Bags, 250/Pack, Kraft - Wax bags are designed to fit snugly into Rubbermaid's Sanitary Napkin Receptacle. Design narrows and tapers down. Each bag is made of 30 lb. clay-coated Kraft paper with a wet wax applied. Bags do not contain latex. 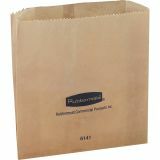 A bag is .0085 to .0095 thick and approximately 3-1/4" to 3-3/5" deep."